Voice Organique (E): Thank you for coming! Last weekend, I went to Nagoya for join the " Vocaloid Paradise 9 ". The trouble was happen. .My buddy Pandacchi caught the cold ! But the event was successfully completed and I am glad to " la la la la " and " Wasabi " were sold out. Thank you for coming our booth and buying our CD ! People of Nagoya was too hot ! They were trying my CD passionately, And I could talk about vocaloid and music with them. I think I was able to spend very meaningful times. By the way, I was surprised that there are too many fans of Luka Megurine. I felt its trend when I joined the event at Kyoto this spring. They asked to me many times as " Which CD does Luka vocal contains? " 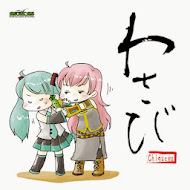 , " CD with Luka's song, Please! "... It's most happier things for me as Luka mania! Incidentally, Luka-ratio of my songs is high. And I have many songs that are rare style in Vocaloid songs. I'm sure that you would be able to enjoy a different face of Luka Megurine. So, I'll show you the photos.. I like local line rather than super-express such as Shinkansen because I can see the beautiful views from windows. It was huge and elegant, although I went for first time. The event of the ancient martial arts had been held on this day. And so, Many swordsmans who were wearing hakama were there. They were looking cool ! 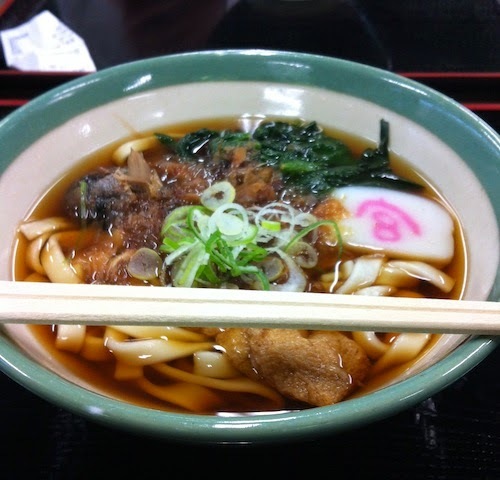 "Kishimen noodles" is famous foods of Nagoya. This is the shop in Atsuta Jingu. This noodle and soup was very delicious. 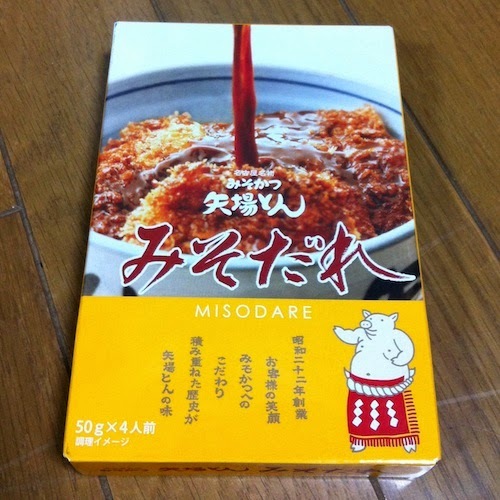 There are two taste of Kansai-style and Kanto-style. Kansai (western) style is cooked with kelp. and Kanto (eastern) style is with soy-sauce. 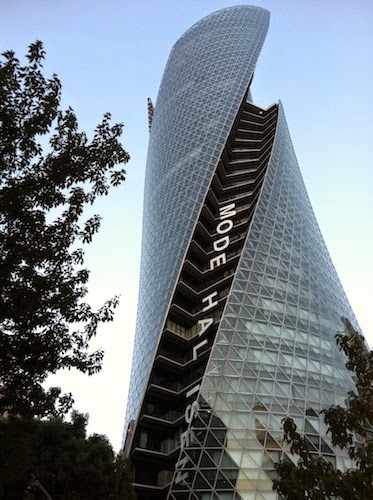 There are both style in Nagoya because Nagoya is central position in Japan.
" Spiral building in front of Nagoya station "
Right : I was taught the " Yabaton's Misokatsu sauce " from friend of Nagoya. And, I was walking around in station buildings to looking for it. About an hour...Finally I was able to buy it ! congratulation me ! And, Next event that I am going to join are " Vocaloid Master 30 " @Tokyo, Japan.